I’m also moved by straightforward things like the writing in Ordinary People. You know that movie? Ordinary People is one of my favourite movies. I could talk about Ordinary People literally all day, and dissect the performances (but especially Timothy Hutton's freaking transcendentally perfect portrayal of a teen struggling with survivor's guilt). But here's the thing: no one ever wants to talk about Ordinary People with me because it's just not that popular of a classic. We have a running joke in our household that something will make me think of that movie and I'll start talking about it and my husband's eyes will just glaze over, lol. Point being, of course I find a person who's interested in that movie and it's Adam Driver, who I cannot actually contact and have a normal-person conversation with. Though it would make for an interesting fan letter: "Dear Adam Driver, I am a HUGE fan... of your Ordinary People fandom. Please contact me at your nearest convenience to discuss Calvin, Beth, and Conrad Jarrett, as no one else in the universe wants to discuss this topic with me. I anxiously await your response in perpetuity, as I understand it might take you awhile to get back to me since you are a famous actor, which is really a huge inconvenience and total bummer. Fondest regards, ________________." We actually watched/analyzed Ordinary People in my AP English class in high school because so many of the themes were similar to Catcher in the Rye, but obviously, there's never been a film adaptation of that book. 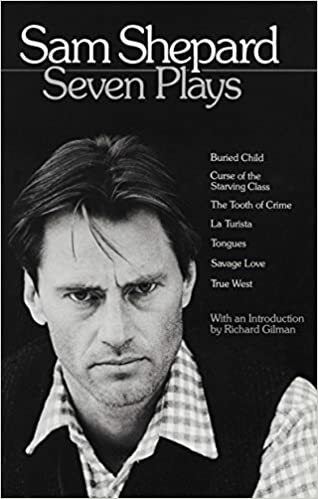 (My English teacher always rewarded our class with viewings of the novels that we read at the end of our units on those books.) It's definitely an underrated classic film. I mean, he's not as insufferable as Ethan Hawke has ever been, but maybe having grown up with one of the adults in my life being originally a New York theater actor (aka a very serious artist), I have to laugh a little over that reference. And the SW quotes, yes they're working towards turning the character exactly into the stock rote 2 dimension character who'll be killed off in a spectacular manner by Rey and the BFG because he never deserved his amazing parents. Just like how various fanboy experts in venues like Twitter and the Sunken Place have mansplained to us for almost 3 years now. JJ cares more about keeping Steve from the Internet happy than in delivering a great movie which is the finale of a 40 year Saga franchise which references classic literature, mythology, and the Golden Age of Cinema. Here is Forbes discussing the “course correction” discourse. @Riri wrote: Here is Forbes discussing the “course correction” discourse. There's some more great quotes from that article. The Force Awakens and its “welcome back, we missed you” introductory chapter is made a little stronger by virtue of seemingly setting up the sequel’s brutal takedown of generational nostalgia and the sequel’s value as a politically of-the-moment time capsule. YES. Many people aren't really making the connections between TFA and TLJ. Though I would argue TFA has bits of deconstruction as well, TLJ just much more blatantly so. Star Wars as it exists right now doesn’t need a course correction. Solo: A Star Wars Story didn’t bomb because of how audiences did or didn’t react to Star Wars: The Last Jedi. And Star Wars Episode IX’s box office fate won’t be decided by how folks felt about Solo... Moreover, Disney’s ability and willingness to sell the next chapter as not just the conclusion of the Rey/Kylo trilogy but also the final episode in the 41-year-old Skywalker/Solo is Disney’s biggest trump card. He calls it the Rey/Kylo trilogy again, ha. The author also notes how both the OT and PT had phenomenally successful first installments, the second is still extremely successful but takes a noticeable dip, and the third partially rebounds back, and the ST appears to be following suit. SW isn't dead or even in danger, really. @californiagirl wrote: There's some more great quotes from that article. 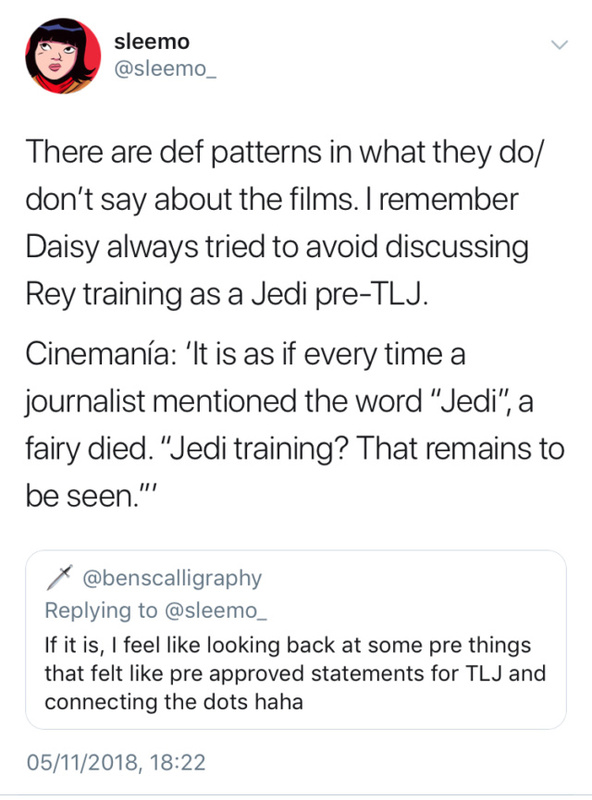 He is the same author that wrote a column indicating that the new movies should have ended with TLJ, and he did not see a need for a third. 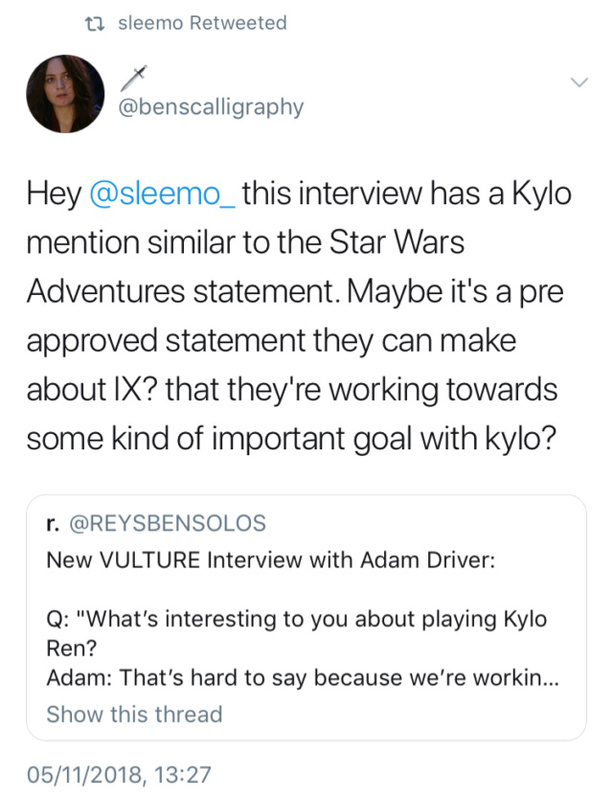 I am thinking he reflected more, or Reylos made a valid logical debate (of course ), and he now agrees. I’d guess that the “news” speculation is probably related to Disney’s earnings call. 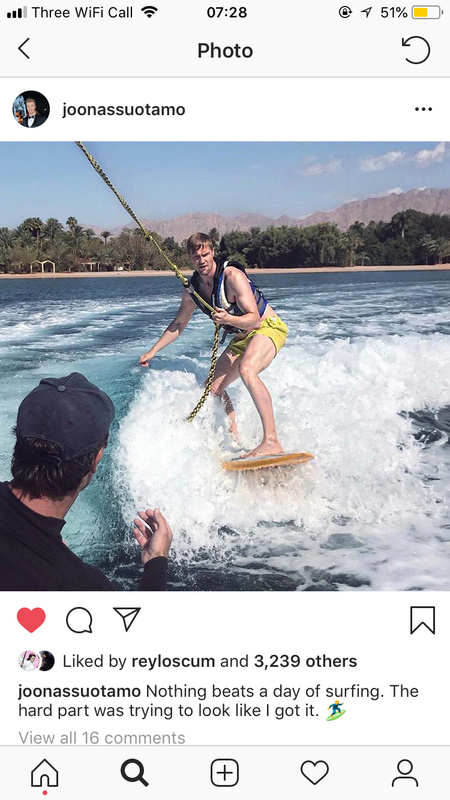 @ISeeAnIsland wrote: I’d guess that the “news” speculation is probably related to Disney’s earnings call. Are those the same kind of meetings which ended up with SW trilogies announced (Rian's and D&D's) or is this something different? Frankly, I don't recall any news coming out of the Disney earnings calls in the past, although in news/spoiler droughts like this, there's been speculation that they could announce something. Well, not a movie but they announced the Cassian live-action serie. The late actress will make her last appearance as Leia in the upcoming film via unused footage from Star Wars: The Last Jedi, and as her daughter, Billie Lourd, describes, it will be "magical." Thanks for sharing this! "Magical" sure doesn't sound like a bleak, hopeless ending. Ahh! Thanks Billie! This is music to my ears. Magical doesn't sound like a tragic ending to me. So here's hoping! Magical, huh? Kinda like JJ's DVD director's commentary line, You're probably going to have a castle, and a prince and a princess, if you're looking at a fairy tale. Definitely an interesting choice of words a la the Brez's calling the Force plot's central relationship "tempestuous." I had read they'd be using a bit of both. One rumor that has also circulated in the wake of Carrie's death as the writing for IX was getting started was that because of Carrie's health Rian shot some extra bits with Carrie "just in case." 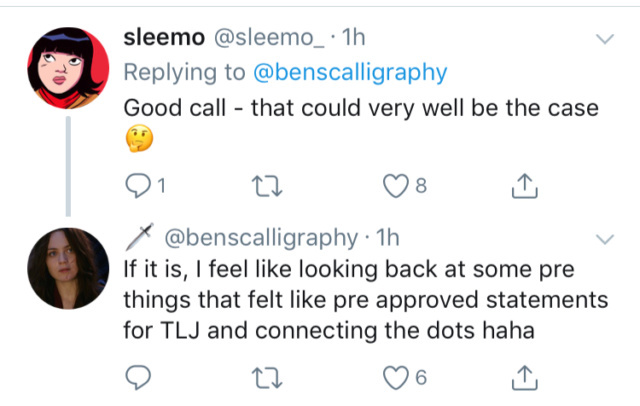 Its never been confirmed either way, but if true the stick in the eye to the haters would be fabulous as Rian's choices for the extra bits would certainly force the story in the direction Rian intended (not that JJ wasn't on board with that; he was a producer and openly stated that he wished that The Last Jedi was his script because Rian had so knocked it out of the park). How're they going to conclude things, though? I doubt they have any footage of Carrie and Adam together. A Leia and Ben reunion would be the most "magical" in my book. Ah well, must trust the powers that be. Well Billie said she read the whole script. So hopefully she meant the whole episode IX is magical. Can’t wait! I'm glad they are using footage from both films. Leia looks better in TLJ, but her views about Ben are much more positive in TFA. There's value to her depiction in both movies. Plus they can do some CGI for her clothes if they really want. ...less than 400 days away from Episode IX!! !